You know how your mother used to cook awesome meals several times a week, and then that one day a week was “Leftover night”? On Leftover Night she would take out all the food that was left over and reheat it, remix it, to create another awesome meal with all of those pieces. Content is not a send-it-out-once-and-forget-about-it thing. Content can also be used again, reworked and repurposed and served up again as more awesomeness. When you’re getting ready to create a new freebie, conduct a webinar or create any type of content or product, always consider what previous content could enhance this particular project. You might want to take snippets here and there, put the content into a new format or simply reuse the content again. There’s no sense in doing the work all over again when a lot of it might already be done. 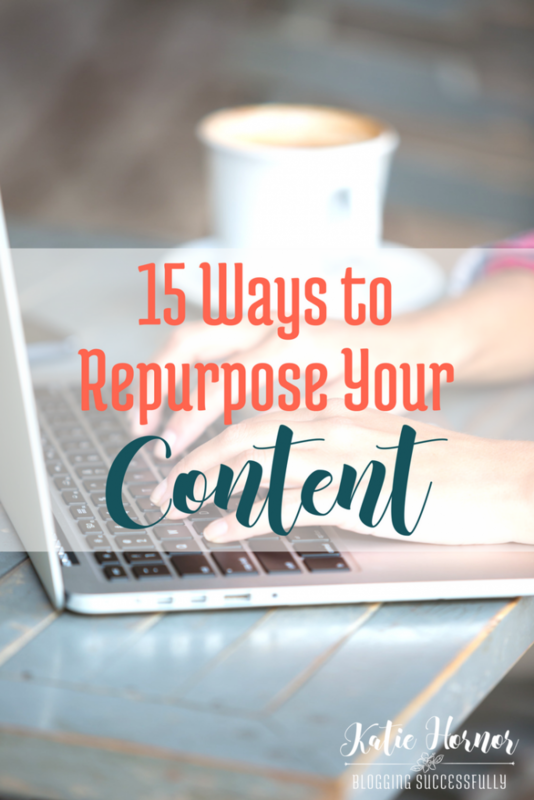 How you reuse your content will depend on the content available and what type of projects you’re working on. Here are some ideas to help you start thinking more efficiently when it comes to creating new stuff. Add previously published content, blog posts or short report copy into an autoresponder series. Turn an email you sent to your mailing list into a permanent article on your website. Refresh and update an old post and use it in your newsletter. Give snippits of the content to your affiliates to use in promotional blurbs or email mentions with their affiliate links. Turn your audio transcriptions from bare bones into a nicely organized and informative ebook or report. Package a few related articles into a report or information bundle (cook books, ebooks, ebook bundles, e-courses). Repurpose a glossary you created as part of an ebook and turn it into a searchable and freely available online dictionary. Break down the content from an informational ebook and make a workbook to help your readers put the content to use. Make a detailed blog posts into a more formal article and submit it to traditional or digital publishers (Think sindicated sites or magazines). Make an easy-to-follow checklist from a tutorial you previously created. Make a printable pattern for a craft or DIY project you included in your newsletter. Refer and link to previous articles when making new content, bringing them into the limelight again. Group several of your podcasts and offer them for purchase in a set of downloads. Make a checklist the size of a small wallet card that your readers can print and carry around with them. Transform a live teleseminar or webinar series into a video e-course with a workbook and sell it as a home study course. … you get the picture. Always think of how you can do MORE with the content you already have. And just like mom’s leftover night, sometimes you’ll be surprised to find that what you create with the leftovers turns out better than the original dish! Can you think of other ways to repurpose content?